Across London, NHS services are under threat. 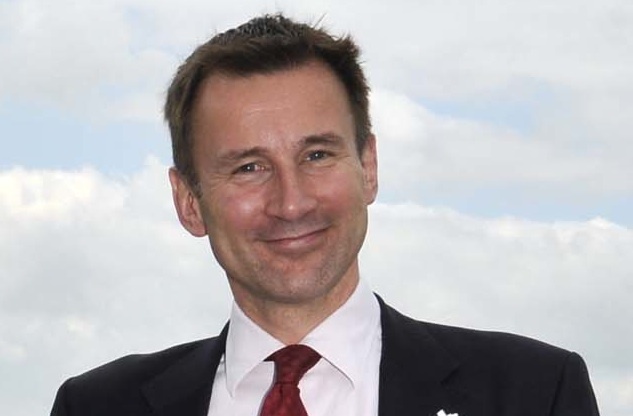 Right now, the health secretary Jeremy Hunt is considering scrapping vital services at Lewisham Hospital. If he does, 750,000 Londoners could have just one casualty department between them. We’ve only got a few hours to stop him – he could be making the decision tomorrow. So far, over 13,000 members of 38 Degrees have asked Hunt to keep Lewisham’s services open. And last Saturday, an amazing 25,000 people turned out to line Lewisham’s streets in protest. Oxfam are holding a charity Cheese & Wine evening this Wednesday. The cheese is from Neal’s Yard Dairy, which is certainly the most amazing cheese shop I’ve ever been into. It’s in Covent Garden, full of free samples of delicious unusual cheeses, served up by enthusiastic people who know what they’re talking about. Anyway, back to the story. The wines are from the local Everyday Wines, which used to be “Nicholas” (a much better name for a wine shop!). The tickets are £10 and when I looked there were only seven left. So snap them up! Photo above is of Neal’s Yard cheeses, by Mermaid99 on Flickr. (Not the actual cheeses being presented, your mileage may vary, etc, etc). The church. It’s either very cold in there, or they have excellent roof insulation. It’s extremely snowy in Blackheath! But something is very wrong. All the trains appear to be running on time, and there is grit on several pavement corners. I have no idea why or how this has happened, but this oversight should not go unpunished. Every year I dream of building a massive network of igloos across the heath, strung together with little ice tunnels. It never happens, but last year I managed to build an igloo (not in Blackeath). It’s not as hard as it looks, so long as you have lots of help, and some big plastic crates from a Pound Shop to compact the snow bricks. 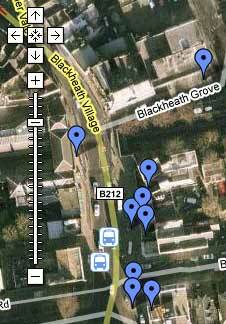 Try it and let me know where your Blackheath Igloo is! Great cartoon by Tom Humberstone in the New Statesman. It’ll take more than cartoons to save the hospital, I fear. Click on the image to view the full sized original at the New Statesman. Spotted on Twitter by @SaveLewishamAE. Last week, the Secretary of State refused my request to meet a small group of local GPs, hospital doctors and residents who are opposed to the closure of accident and emergency and maternity at Lewisham hospital, yet in his former role he seemed very happy to trade hundreds of texts with Rupert Murdoch’s lobbyists about the purchase of BSkyB by News Corp. Why is it one rule for Rupert Murdoch’s lobbyists and another for doctors in Lewisham? I think that the hon. Lady might perhaps read Lord Leveson’s conclusions before she starts hurling about allegations, many of which came from her side of the House, that were later shown to be totally false. With respect to the decision on Lewisham hospital, I thought that we had a very useful meeting last night with the south London MPs who are directly affected. She understands that the process put into law by her party and her Government means that I cannot reopen the entire consultation and start seeing some groups without seeing all groups that are affected. That is why I am limiting the discussions I have with colleagues, but I think that that is the right thing to do. Further to our email yesterday regarding the Save Lewisham Hospital campaign we have now been asked to let you know about an additional mass rally which is taking place on the same day – 26 January to highlight all the other plans to cut the local health services. All those who care about their local hospitals and health services are being urged to join this rally starting on Blackheath – near All Saints Church – at 12 noon. The group will move on to join the Lewisham campaigners who are meeting at the roundabout near Lewisham station and all will march to the rally in Mountsfield Park. So the consultation results are in. Apparently it’s a great idea to close Lewisham A&E and maternity wards. I’m sure that’s what you all sent to the consultation. Thank you again for signing the petition to save Lewisham Hospital’s A&E and maternity department, which I presented to No. 10 just before Christmas. Over 35,000 people have now signed the petition, and together we are sending a loud and clear message that we strongly oppose the plans for closure. Protest against the proposals. The Save Lewisham Hospital Campaign have organised a second peaceful demonstration on Saturday 26th January. Assemble at Lewisham Roundabout (by the station) at 12, before we march past the hospital to Mountsfield Park for a rally, music and giant petition. I will be speaking at the rally. Forward this email on to your friends. Spread the word about the campaign! This does not only affect the people of Lewisham, and Mr Hunt needs to know that people across South East London are not prepared to accept these recommendations and have their services and their safety compromised.